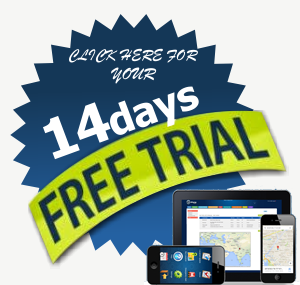 Work Force Tracker allows your field employees to report their time on the job and travel using their mobile phones or through their web panel access. You get complete visibility into your business. You not only know the updated locations of your employees, you also know the time they spent on each job. When your time sheets are automated in a field service management system, your field workers waste less time with paperwork and you get faster, more accurate time tracking. 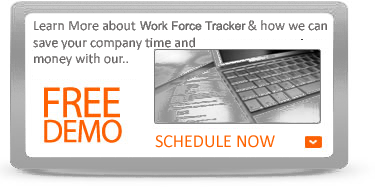 Keep track of the hours your employees work in real-time using the Time Sheet feature of the Work Force Tracker. Field workers can track how many hours they work, reducing conflicts over payroll amounts. 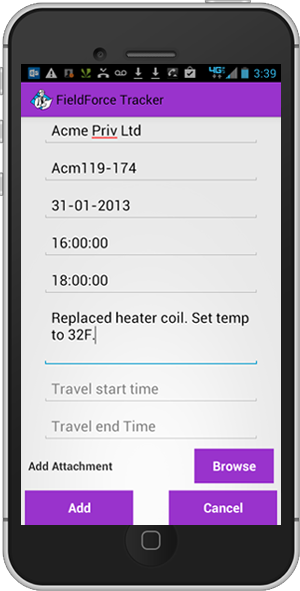 Crew leaders/ Admin can clock in members of a crew who do not have smart phones or tablets. This allows your business to access the same payroll benefits as our Time Clock feature without having to provide a separate smart phone for each member of the crew. Technicians track their time using the Time Clock feature on their mobile device. 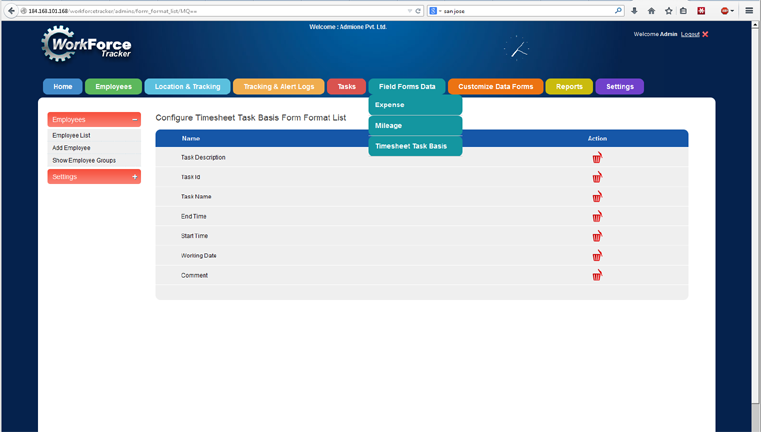 Employees can track all time including en route, working, parts run, and/or processing time and can even pause a job. By keeping track of drive time versus work time, you can keep technicians accountable and reduce payroll conflicts. You can search a report of the live timesheet by individual employees, all employees, and reporting period or use a start/end date and edit the record, if necessary. Reports can be exported or printed as needed. The Employee Hours Report can be used for payroll, eliminating paper time sheets or requiring employees to physically clock in at a location. Coupled with our other features, the Employee Hours feature helps you keep track of your employees, where they are working, and how long they are working in real-time. Whether it’s tabulating timesheets, verifying time reported, or just tracking time in the first place, Work Force Tracker’s automated time-stamping will simplify your life. By incorporating automatic time stamping within the web and mobile apps, your staff will be creating the detail you need to generate timesheet data without any additional effort whatsoever. Most field service businesses pay field staff by the hour. Even if they’re paid by the job, it’s important to know how long those jobs take and who’s efficient versus who’s not. Manual Timesheets – A thing of the past. Scheduling field service and sales resources and managing operations are challenges for all service organizations. Many organizations rely on paper-based and telephone-based processes to link field resources with the office. Traditionally, field resources have been required to physically visit an office or call office staff on the phone to receive instructions, which is costly and takes time that could be better spent servicing customers. At the remote service sites, resources often did not have ready access to the information required to complete the service call on the initial visit. In addition, once a service call was completed, the need for completed forms and other documents delayed the closing of the service order, which in turn delayed billing and reduced customer satisfaction. 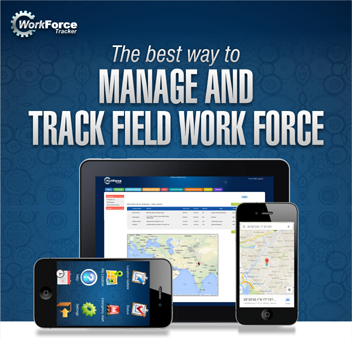 Work Force Tracker’s web based Field Service Software enables field service organizations to automate their operations, thereby reducing office costs and increasing office staff, technician, and sales productivity.